The ICT Committee held it’s first quarterly meeting at Kenya Healthcare Federation offices (KHF) on 24th January 2019 to outline the focus areas for 2019. The meeting was chaired by Dr. Torooti Mwirigi (Carepay Limited). The focus areas outlined included: data exchange, data regulation and governance, active participation in the Health Act 2017 technical working groups (TWGs) and Universal Health Coverage (UHC) committees at the Ministry of Health (MOH), and, partnerships. Mr. Joel Lehman (Infospective) updated the group that at the last Ministerial Stakeholder Forum (MSF) it was agreed that standardization of coding of persons, facilities, practitioners, procedures and diagnoses was a priority in the health sector. The Pharmacy and Poisons Board (PPB), with the help of consultant Prof. Francis Ndemo of the University of Nairobi and chair of PPB Practice Committee will take a lead in introducing standard codes for pharmaceuticals. The recommendation of Pharmaeutical Society of Kenya (PSK) and KHF, is to use the globally used ATC codes with a suffix unique to the specific brand registered in Kenya. The Kenya Medical Practitioners and Dentists Board (KMPDB) will take the lead in adoption of standard codes for procedures and diagnoses. The data – exchange sub-committee was mandated to structure a framework for a data exchange. The sub-committee agreed that key considerations for this framework include standard codes e.g. 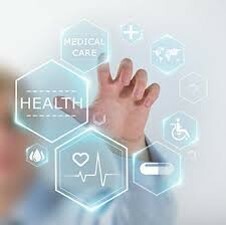 ICD10, ACT, CPT, RADLEX etc., health information exchange standards e.g. HL7, clinical pathways and formularies. To achieve this, stakeholder mapping is necessary to pick up on best practice. Establishment of a good relationship between the subcommittee and the Nursing Council of Kenya, the Kenya Medical Laboratory and Technician Board and, the Kenya Medical Practitioners and Dentist Board is also necessary to give an opportunity for supporting these boards on the best coding systems considering global best practices. After the framework is created it will be floated to KHF member for endorsement, a milestone to be achieved by mid-2019. Similarly, ICT and mobile health committee will make policy proposals on data governance and regulation and present to KHF membership for endorsement. KHF will advocate the adoption of these policy proposals by government.